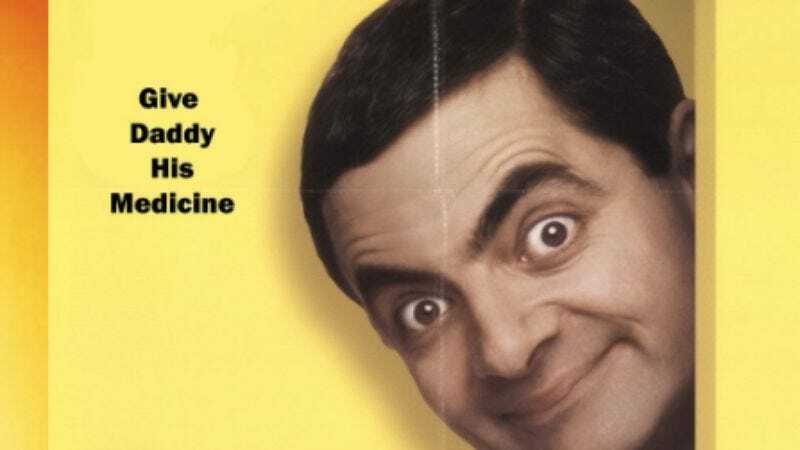 Movie studios spend hundreds of millions of dollars each year for the promotion of their films, and some of that money must go to marketing weasels who devise clever and catchy taglines for posters, trailers, and bus ads. They’re all trying to come up with the next “Who will survive and what will be left of them?” or “In space, no one can hear you scream.” But it’s all wasted effort. The perfect, all-purpose tagline is already out there, and it makes literally any movie poster better. Just four simple, beautiful words: “Give Daddy His Medicine.” The epigram conveys the essence of every movie plot: Somebody wants something. It was Cullen Crawford, a writer for The Late Show With Stephen Colbert as well as a contributor to ClickHole and Onion News Network, who revealed this important truth to the world via Twitter, where most important truths are revealed. Crawford’s tweet invites readers to “try it out” for themselves, and try it out they did. In droves. They tried it on grim, post-apocalyptic films, and it worked like a charm. The tried it on iconic, Oscar-winning classics from the 1970s, and the effect of the tagline was not diminished by a single percentage. And why stop at just the tagline? If there’s enough wiggle room, the magical phrase can be incorporated directly into the title of the movie itself. The only real limit here is the imagination. There is, after all, no limit on Daddy’s appetite for his medicine. He always needs it, and he’ll always demand that it be given to him.